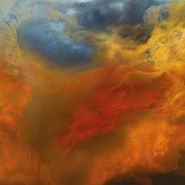 Enthusiasts of both guitar amplification and seminal drone-metal group Earth, Sunn O))) have come a long since their early experiments in testing the limits of feedback and distortion. Their most ambitious work might have culminated in 2009’s Monoliths & Dimensions, an album that incorporated a diverse array of instruments and textures into their nightmare drone, and since then they have collaborated with artists like avant-pop hero Scott Walker, proving vast possibility to what might seem like a limited formula: ostensibly two dudes with guitars making instrumental drone metal. However, Life Metal follows the precedent set by 2015’s Kannon in returning a bit to their roots, utilizing fewer instruments and focusing more on those hypnotic waves of guitar chords. The mission of Life Metal in particular was to attempt to emulate the sound and feel of Sunn O)))’s live show, which they do courtesy of Steve Albini’s all analogue production. Play this one loud, or you’re not really playing it at all.